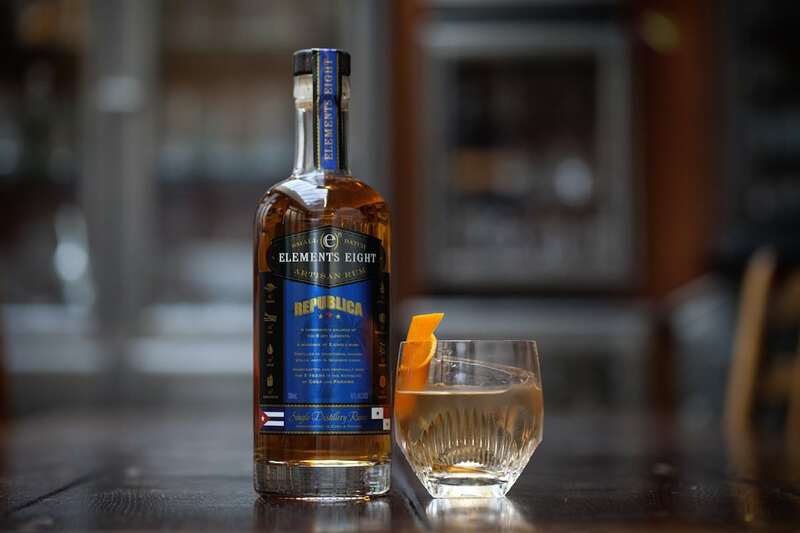 With the rise in popularity of ‘craft’ spirits, independent rum brand Elements Eight have launched Elements Eight Republica. A premium, aged blend of two rums from Cuba and Panama, the blend is produced from 100 per-cent traditional column stills, rather than a combination of pot and column distillations. Naturally sweet in character, the Elements Eight Republica is non-chill filtered and aged in Bourbon casks, imparting further natural vanilla aromas and flavours. An Elements Eight ‘signature cocktail’, using Republica – ‘Old Cuban’ takes traditional Old Fashioned elements (Angostura bitters, sugar syrup) and combines them with a fresh twist of ingredients typically associated with classic rum cocktails (mint, lime juice). Bruise the mint in the bottom of the shaker. Add the other ingredients, other than the Champagne, add ice and shake until cold. Strain into a coupe glass and top up with Champagne. Garnish with mint. Elements Eight Republica is available from The Whisky Exchange and Masters of Malt, RRP £30.45, 70cl. Further information can be found here.